Learn which treatments can cure nail fungus safely at little to no cost, which prescription medication can cause liver damage and simple at home remedies some people swear by. 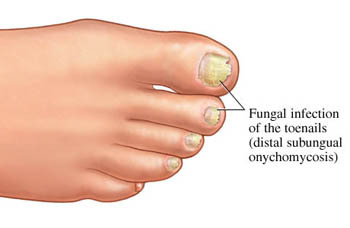 Nail fungus, otherwise known as Onychomycosis, has been recognized as being a very difficult type of fungal infection to treat. It is a cosmetic condition that most often affects the toenails. Risk factors for nail fungus include increased age, male gender, diabetes, nail trauma, hyperhydrosis, peripheral vascular disease, athlete’s foot, immunodeficiency, poor hygiene, and chronic exposure of the nails to water. There are many species of fungus that can infect the nail. 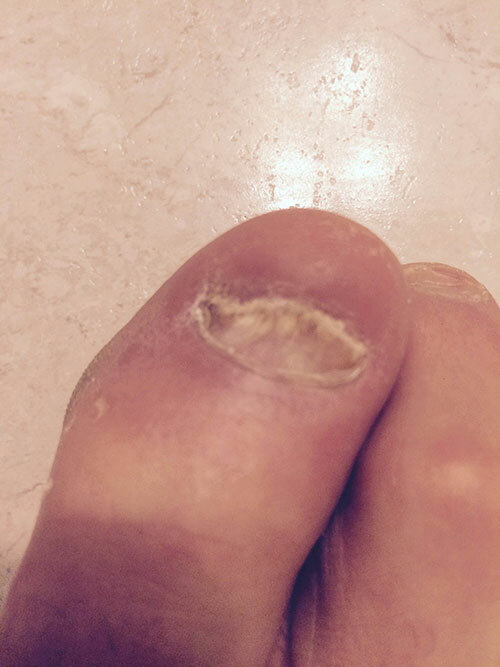 Often in nail infections several types of fungus will be present at the same time. All nail fungus infections result in thickened, discolored, and distorted nails. In the past, treatment options were limited and often not very effective. Now there are several treatment options available to cure nail fungus. 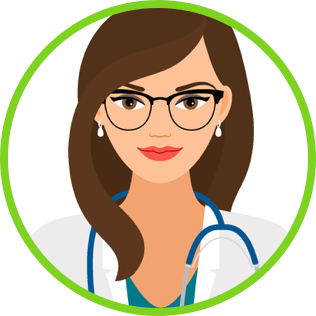 It is important to see your health care provider to ensure that it is truly a fungal infection you are dealing with before any treatment starts. There are other disorders (such as: Psoriasis, Lichen planus, contact dermatitis, and certain bacterial infections) that can cause similar looking nail problems. 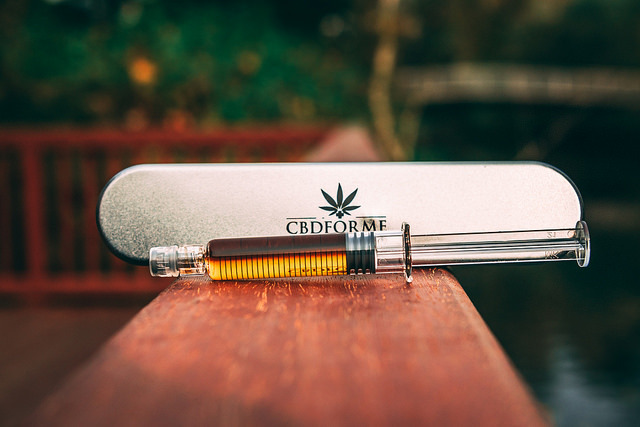 Your doctor can verify if it is indeed a fungal infection by examining nail scrapings and clippings under a microscope and submitting these samples to a lab to be cultured. This is a guest post series from a follower of the blog. The goal is to chronicle the various ways one person can treat and get rid of nail fungus for good. We hope you enjoy! Week 1 – Hi my name is John and if you are like me one day you looked down at your feet and thought wow my toenails look pretty gross. Could be at a pool party, walking on the beach or just wearing your flip flops out in public. For me I love training in martial arts. In the martial arts gym you are always barefooted. No shoes allowed! It was there one day that it hit me, amongst all these 20 somethings with clear nails my nails looked yellow and crusty. It was really embarrassing and I vowed to clear them up once and for all. Nail fungus never really appears out of the blue… its a gradual thing… get a crack in your nail… walk around the shower in the gym barefooted… wearing your shoes constantly without letting you toes breath and next thing you know your nail start getting little cracks and discolored. My story is that I took a break with martial arts training to have a family and to work on my career and so after 5 years decided to starting training again. I never really cared what my feet looked like, however that changed when I got back into martial arts. Now I’m no spring chicken but I’m not “old” either I’m in my late 30s but when I stepped onto the mat I noticed right away how gross and yellow my big toenail looked. Now I looked at my feet a millions times before that day stepping onto the mat, but never really noticed or cared. Yet here I was the “older” guy in the gym looking quite the part with my yellow nails and all. From that day forward I always hid my toenail with black tape when I was in the gym. From time to time someone would ask me why I was wearing the tape and I would usually say “oh I jacked up my toes hitting the heavy bag” or “tweaked them while sparring”… at this point no one evens bothers anymore… as they must be thinking his toes are permanently screwed up! If you take a look at the picture you can see why I usually wrap them up. They look gross! So I have to do something… I can’t always wear tape around my toes and summer is coming up! So I’m going to detail here my experience in trying the various methods of curing my nail fungus on this blog. Following along with me and leave your comments below! So my strategy is just to go to local drug store and pick up a cheap bottle of anti-fungal solution from CVS. I’m using undecylenic acid. Also I’m filing my toenail down. It way too early for any real results but I think filing down the crusty parts is better than nothing at all. Not much has changed. Just plugging away and applying the CVS treatment daily as well filing the yellow parts down. I think the root base of the nail is not yellow but it seems that the nail as it grows out develops a yellow tinge as well as gets flaky and not healthy looking. My plan is to finish the bottle out in another few weeks before switching up my treatment options. The skin is the largest organ in the body and its most important function is to provide a selectively permeable barrier to the outside environment. The outermost layer of skin is called the stratum corneum (SC), Latin for horned layer, which is a dynamic structure that functions to protect deep layers of the skin from infection and injury . This layer is comprised of dense skin cells (15 layers deep) called corneocytes  that originate deep within the skin and migrate to the surface of the skin as they mature. Complete replacement of these cells in the epidermis takes approximately 1-2 weeks, as it takes about 24 hours to form a single layer of the SC. One of the most important structures of the SC is the nail, which is a flat, hardened covering at the tips of the fingers or toes that has evolved to function as a protectant for the tips of our digits. The nail covers and protects a part of the finger called the matrix (see below), which is a layer of skin under the nail from which all of the cells that become the nail arise . The nail itself is comprised of three main layers. From the outer structure in, they are the nail plate, the nail bed, and the nail matrix. The nail plate, also called the dorsal outer layer, is dense and hard, consisting of keratin . The nail plate is a thin (0.25 -0.6mm for fingernails and up to 1.3mm for toenails), hard, yet slightly elastic, translucent, convex structure that is made up of approximately 25 layers of dead keratinized and flattened cells. These cells are tightly bound to one another via numerous intercellular links, membrane-coating granules and desmosomes, which are cell structures specialized for cell-to-cell adhesion . The nail bed is the skin beneath the nail plate . Like all skin, the nail bed is made of two types of tissues: deep dermis, (the living tissue fixed to the bone which includes capillaries and glands), and the superficial epidermis (the layer just beneath the nail plate, which moves forward with the plate). The epidermis is attached to the dermis by tiny longitudinal “grooves” known as matrix crests. The nail matrix (sometimes called the matrix unguis, keratogenous membrane, or onychostroma) is the tissue that the nail protects . This part of the nail bed rests beneath the nail and contains nerves, lymph and blood vessels. The matrix is responsible for producing cells that become the nail plate. The width and thickness of the nail plate is determined by the size, length, and thickness of the matrix, while the shape of the fingertip itself shows if the nail plate is flat, arched or hooked . The nail matrix continuously produces nail. The matrix at the base of fingernails consists of the most rapidly dividing skin cells in the body, which grow four times faster than toenails at a rate of about 3mm a month. This tissue consists of rapidly proliferating skin cells that soon fill with the protein keratin. This is the protein that gives strength to the nail . The nail-plate (corpus unguis) is the actual nail that we usually refer to as the “fingernail” or “toenail.” This part of the nail is made of a clear protein called keratin. Several layers of dead, flattened cells make the nail strong and able to protect the end of the finger, yet partially flexible. The nail-plate is comprised of dorsal, intermediate, and ventral layers. The dorsal outer layer is dense and hard, consisting of keratin. However, despite its hardness, this layer of the nail is only a few cells thick (approximately 0.5mm) . The dorsal and ventral layers of the nail plate have the highest concentration of lipids in the nail, and affect penetrability of treatments (see below) . In intermediate layer of the nail plate contains highly compressed, flattened cells, in comparison with the other two layers, which contain softer, less compressed cells . Can Baking Soda Cure Nail Fungus? Eww, nail fungus! Who wants to have brittle, discolored nails that keep you from reaching out to shake someone’s hand or from wearing open toed shoes? To make matters worse, if you go to your doctor, he will likely hand you a powerful anti-fungal medication that you need to take for months. Not only does that medication have side effects, it is often unreliable, expensive, and not covered by insurance. The good news is that you can heal your nail fungus cheaply and naturally without much effort. Baking soda is one of the most common substances in your house, but it is scientifically proven to stop the spread of nail fungus. This will help keep it to one finger or toe, and it will stay localized to just one place on the nail. Tea tree oil is another topical medication that has anti-fungal properties to kill off the bugs in your nail. Used together, these all natural remedies provide a safe, effective way to manage a nail fungus problem. Sometimes just using a topical nail fungus treatment isn’t quite enough. Nail fungus is a difficult condition to treat – even if you do break down, go to the doctor, and get high-powered prescription medications – and you need to try multiple approaches to find something that will work. The problem is that the fungus gets down underneath the nail, and the nail’s primary job is to protect the soft tissue underneath from the outside world. Unfortunately, this means it protects the fungus from the healing powers of just about everything that you try to throw at it. If you want to get rid of your nail fungus, you are going to have to stay dedicated to the task and try as many different remedies as you can. Don’t give up too soon on something, though. 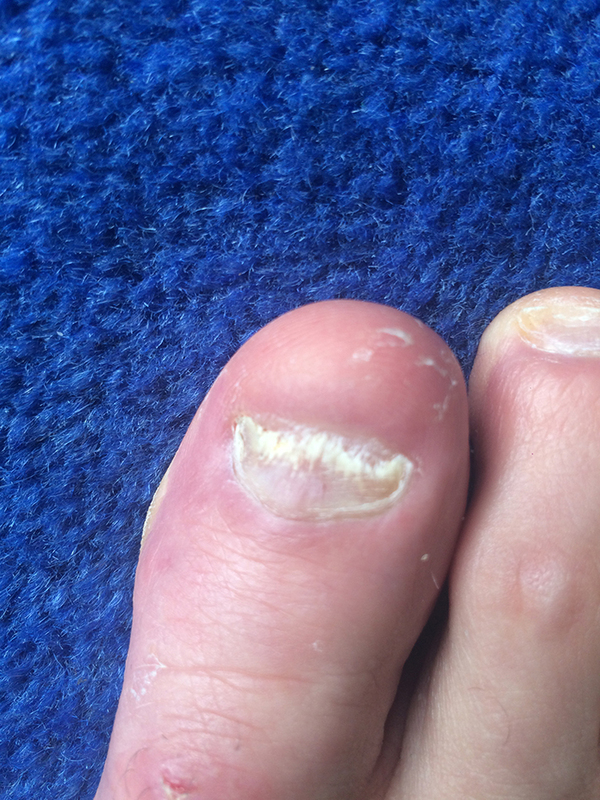 It can take months to see any improvement in nail fungus, even with doctor prescribed treatments. With home remedies, you have to use the treatments consistently and loyally, even when it seems like it won’t work. Of course, your best course of action is to prevent nail fungus from the start. If you have a topical nail treatment for your nail fungus, you are ahead of the game, but you can do a few things to make that treatment even more effective than merely rubbing it on your nail and leaving it alone. 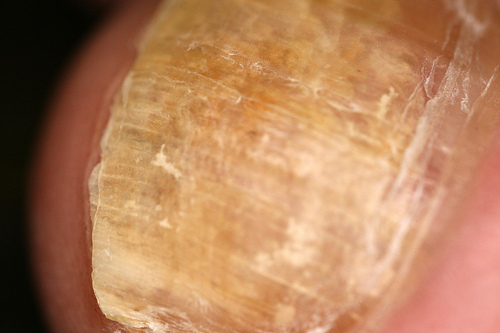 Topical nail treatments need to penetrate the hard, brittle nail that the fungus has created. 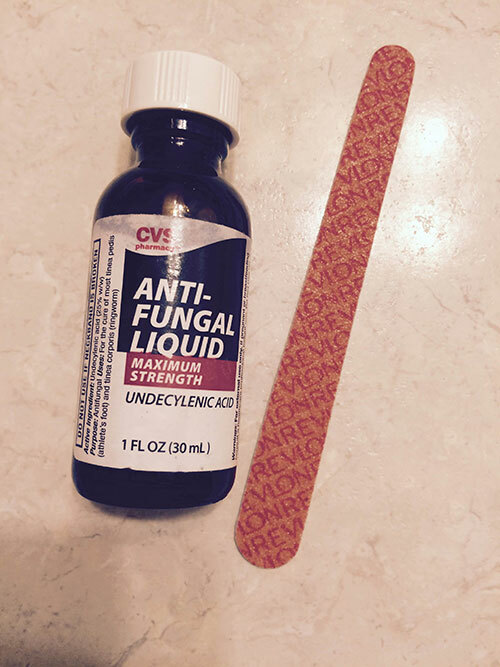 Unfortunately, nail is not absorbent, so if you have thick nails, that topical solution is just sitting on top of the nail and not attacking the fungus. For starters, keep your nails clean and dry at all times. Fungus and bacteria in general love a warm, wet environment. 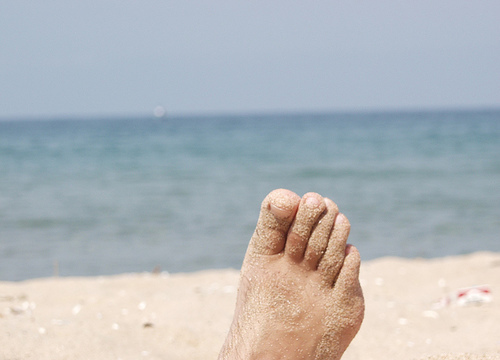 If you have sweaty feet, use an anti-fungal foot powder to keep your feet dry. People suffering from a compromised immune system are naturally more likely to develop an infection, whether it is viral, bacterial, or fungal in nature. The concern for this issue is that without a strong immune response the infection can spread and progress to life threatening proportions. 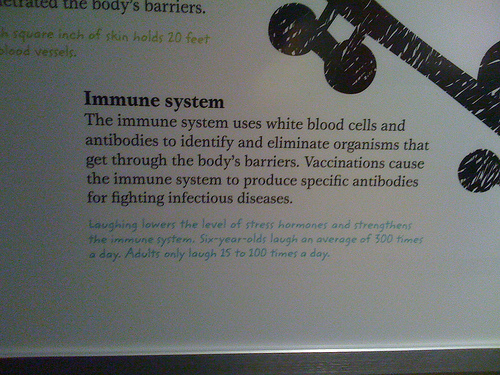 A normally functioning immune system is typically capable of fighting an infection and controlling it, perhaps with the aid of a medication. At some point during a person’s lifetime they may experience a suppression of the immune system for one reason or another, which then allows the dormant fungus to become active causing health complications.